In December 2014, I joined Ladbrokes as a Senior UI/UX Designer. In the Platform & Gaming team, it was my responsibility to evaluate briefs, analyse opportunities and manage projects and to provide the UI/UX vision in accordance with the team's vision. Ladbrokes is one of the world's leading betting & gaming enterprises. It operates a combined total of more than 2,800 betting shops and offers thousands of betting markets on a daily basis via the internet, mobile & telephone. With smartphone penetration in the UK exceeding 84%, and over half the internet traffic being from portable devices like smartphones and tablets, Ladbrokes looked to improving its online offering, which was languishing behind its competitors. Attempting to capitalise on the ever-growing online channels, Ladbrokes wished to transform its digital business with the creation of new products and services, such as the launch of its mobile sportsbook. 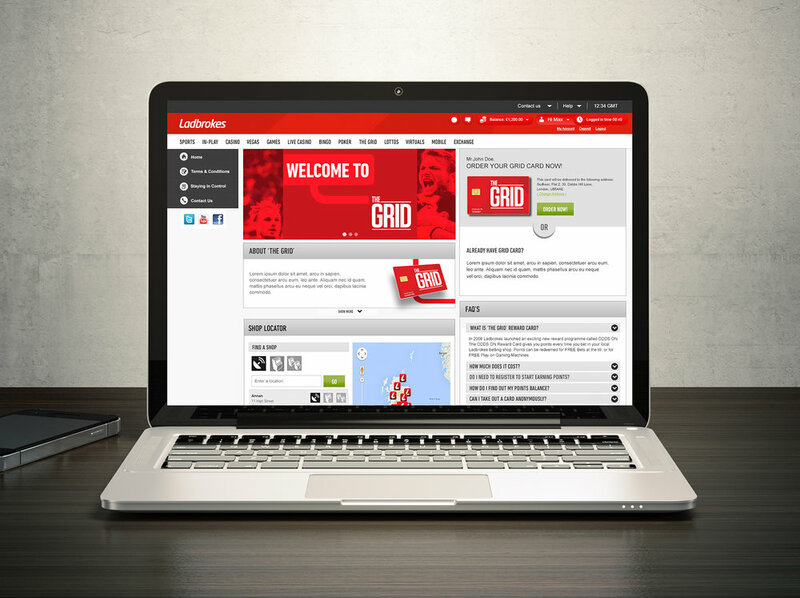 With a strong brand presence, a thriving retail bookmaking business, and a growing online (web-based) bookmaking offering, Ladbrokes had all the main ingredients to develop a unified solution designed to align both these experiences, without requiring multiple apps. To begin with, transparent transition between devices - placing bet online, monitoring bet status on the mobile, withdrawing winnings in shop – was essential. This mobile-friendly responsive application became the first multi-channel bet status tracker in the UK betting and gaming industry, enabling retail punters to track or check the status of a retail bet slip online. In the first phase of the engagement spanning two months, a responsive web application catering to desktop, tablet and mobile was designed. The feature set included capabilities which enable customers to check their loyalty reward points, and participate in various multichannel promotions.